Simple Meals, Simpler Life? Update time! Since we moved to Fort Lauderdale in March, our lifestyle has changed a bit. 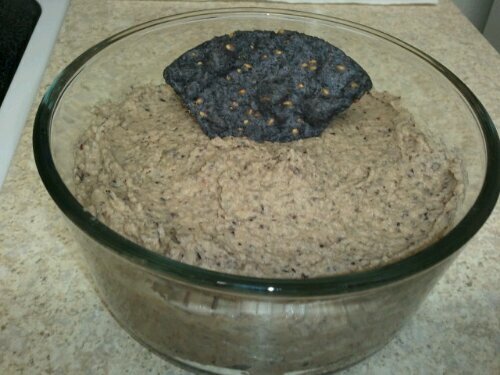 Yes, we do eat out more (mainly mexican or groupons when we do), and yes, I spend a lot less time in the kitchen, but I’ve also changed how I spend my time in the kitchen. I don’t spend time on elaborate recipes anymore, and when I do reach for a recipe they tend to be from my easier, low fat cookbooks. Also, I’ve been a bit choosier with my cookbook purchases, and have only bought two, and both were kindle editions. Most of my cookbooks have stayed packed in boxes since we moved, both because I don’t really have anywhere to put them, and also because it’s one less thing to pack up if we are able to get our butts to Seattle in the near future. I’ve been meaning to sell off my extra cookbooks in lots on ebay. 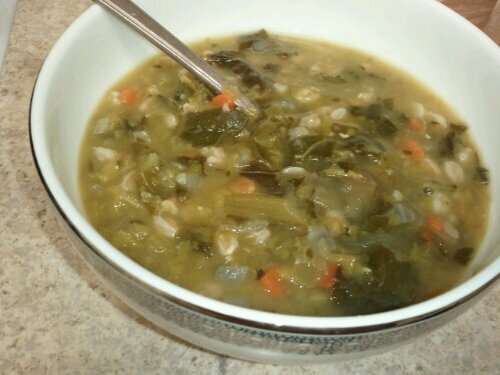 Split Pea Soup: olive oil, red onion, few cloves of garlic, 1 bag of rinsed split peas, 1 not beef bouillon cube, 1 tsp. liquid smoke, 1 tbsp. braggs simmered for an hour. 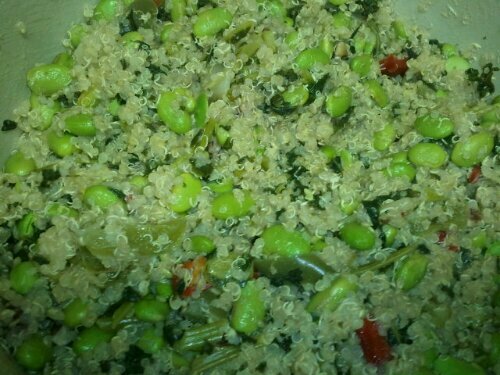 1/2 bag of collards & 3/4 c. pearled farro, simmered another 20 minutes. Seasonings: poultry seasoning, cumin, turmeric, curry powder, etc. 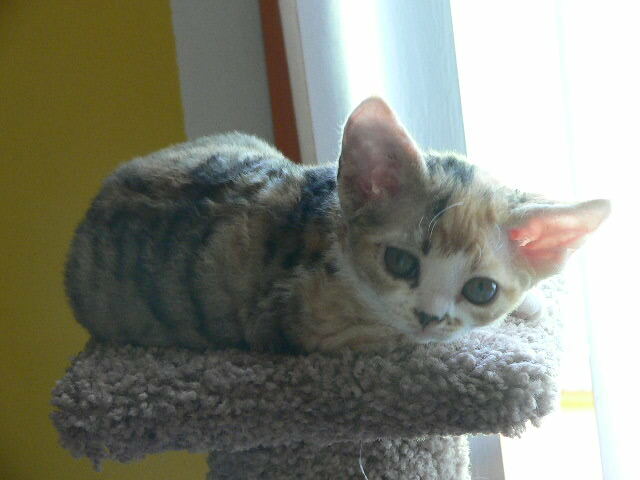 I’m also really happy to announce that we’ll be bringing home our Devon Rex kitty in late August. We’ve named her Zelda, and she’s just the cutest little thing. She’s going to be about a third of the size of our previous fluffy monsters. In case you’re wondering why we’re not rescuing a kitty, despite our efforts, this was the only breed that we found that we could both tolerate. 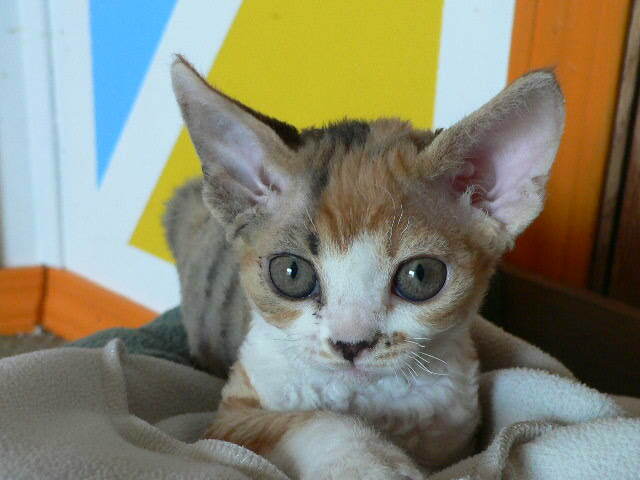 Thomas & I are very allergic people, and we’re thrilled that we’re going to have a new family member. She’s just adorable! You must be so excited!